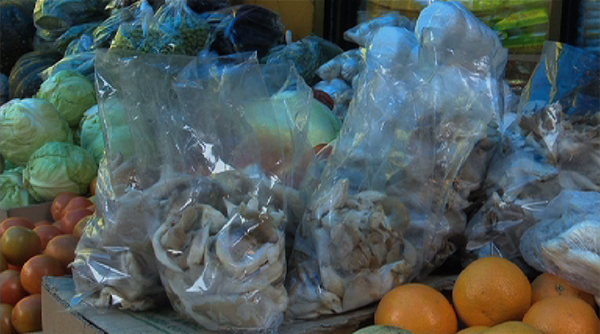 From 1st of April this year, the National Environment Commission (NEC) will reinforce the ban on use and sale of plastic bags and wrappers, after the ban was first introduced 20 years ago. The initiative to ban plastic in 1999 grabbed international headlines and garnered global attention and appreciation. However, in the 13 years that followed, the ban had to be reintroduced in 2005 and a new regulation had to be set in 2012. But today it still remains a major challenge with plastic wrappers and bags constituting the largest share of wastes, particularly in town areas. The NEC says after an assessment they found that the ban on plastics was not up to their expectations because of a few reasons. “It’s due to lack of alternatives in the market for those banned items. We also came to know that there is a lack of coordination among the implementing agencies. And we learned we could not provide adequate general public awareness on the ban,” Rinchen Penjor, the Environment Officer of Waste Management Division of NEC, said. NEC says they are working closely with the implementing agencies to provide required alternatives in the market for those items. “We are also trying to create adequate general public awareness so that every one of us is on the same page. The NEC also supports and encourages private waste management entities that play a very important role in managing the waste in our country,” Rinchen Penjor. After the reinforcement of the ban, any business establishment found selling or using plastic bags will be levied Nu 500 for the first offence and Nu 1,000 for the second offence. And for a third violation, business licenses will be cancelled. Meanwhile, some of the people are sceptical about the reinforcement of the ban. “The ban had failed in the past too. I think the ban will only work if the government strictly implements it,” Sanman Subba, a shopkeeper, said. “After the first ban, it became quite difficult to sell our produce. People started to use plastic. As of now, I always use plastic to pack vegetables and fruits. I don’t know what I will have to use after the ban, ”Tshering Yuden, a vegetable vendor, said. Meanwhile, the NEC says they will strictly monitor the use and sale of plastics across the country.